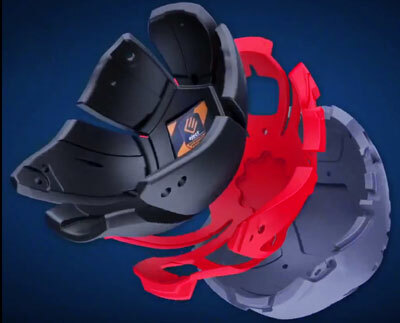 The Moto-9 Flex is the most advanced motocross helmet Bell has ever produced. It reaches new levels in terms of protection and fit. At the bottom of the page you will find more information about the technical features. 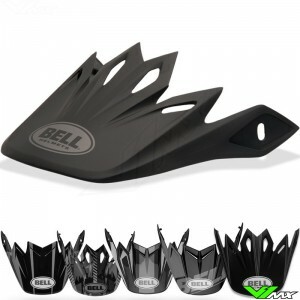 The Bell Moto-9 Flex is one of the most innovative motocross protection ever made. The main features of this motocross helmet are explained below. 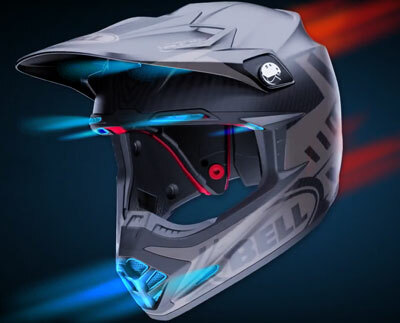 The Bell Moto-9 Flex is a revolutionary motocross helmet that offers excellent levels of protection. The increase in safety and protection has been achieved by multiple innovations. One of them is the use of 3 layers of progressive damping material which offers protection for all kinds of impacts. The 3 layers are made from different materials and each material has a different density. This way the first layer is used for impacts at low speeds. The second layers is used for mid speed impacts. And the outer layer is mainly used for impacts with high speeds. The 3 layers together form a great protective layer that provides damping in all situations. Another highly appreciated feature of the Bell Moto-9 Flex is the segmented inner lining. It is built up of 6 panels that can move separately from each other. The result is a motocross helmet which automatically adapts to the riders head shape. A unique system which received many positive responses from riders. Due to the construction of these 6 panels, the ventilation is also excellent. There is a small space between the panels, which channels air from the inlet vents to the outlet vents of the Bell Moto-9 flex. This provides an optimal ventilation system. The inner lining is made of XT-2 material. This antibacterial material keeps the helmet cleaner and improves the smell in the helmet, even after prolonged use. Supply of fresh and cool air is important if you want to perform optimally on your dirtbike. This Bell motocross helmet is full of innovative features that promote the airflow and cooling of the rider. It starts with the supply of air at the front. Different ventilation holes at the cheeks, chin, eyebrows and forehead provide a way for the air to reach the inside. The ventilation holes are large and placed in strategic places. But it is not only the ventilation holes that make this helmet so special. On the inside, the segmented lines is also used for cooling the rider. The air can flow between the 6 panels. As a result, the air flows directly over the head of the rider for maximum cooling efficiently. To complete the ventilation system, Bell has equipped the rear with 7 large exhaust vents. These allow damp and warm air to escape. 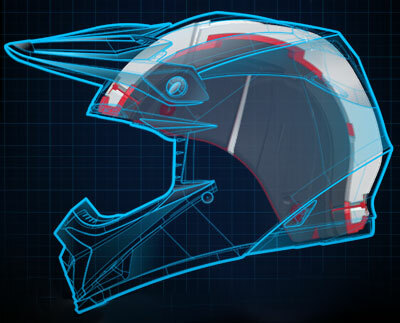 Traditional motocross helmets are designed to dampen linear impacts. A motocross crash happens mostly at high speeds, which causes an impact to happen at an angle. With an angular impact the brain can rotate, which can result in a concussion. Bell solved this problem by building a rotation energy management system in the Moto-9 Flex. The system is similar to MIPS, but due to the unique design of the Moto-9 Flex, Bell has chosen to develop a rotational damping system themselves. The technicians at Bell designed 2 layers to be able to rotate relative to each other. In the layers a damping system is built in to slow down the rotation of the head of the rider which helps to reduce peak stresses in head of the rider. 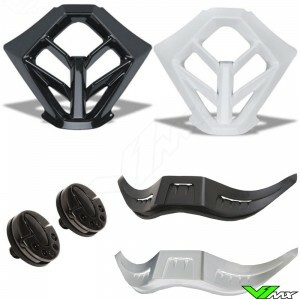 The result is a motocross helmet that not only protects with a direct impact, but also impacts at an angle. 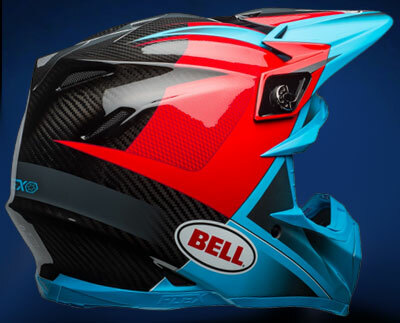 This makes the Bell Moto-9 Flex one of the most protective motocross helmets currently on the market. Besides good protection and performance you want a good looking motocross helmet that fits well with your motocross gear. Bell has a wide range of Moto-9 Flex versions. Their own design department creates amazing graphic designs that fit well with modern motocross gear. In addition, Bell collaborates with various motocross related brands, to bring the most beautiful motocross helmets to market. One of the most popular designs is the Fasthouse edition. 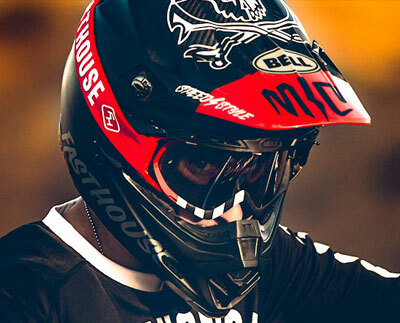 Fasthouse has a unique style with simple colors and old-school moto inspired designs. Bell also has a partnership with the Pro-circuit team from the United States. The helmet with Pro Circuit graphics are also available at V1mx. This makes Bell one of the few brands that produces a Monster Energy motocross helmet. Another company that makes designs for Bell is Tagger Designs. Tagger is known for the wild designs with lots of colors. Do you want to stay informed about the latest editions? Follow us on social media, we regularly provide updates on new collections and innovations in the motocross and enduro world. The outer shell of the Bell Moto-9 flex is made of carbon. 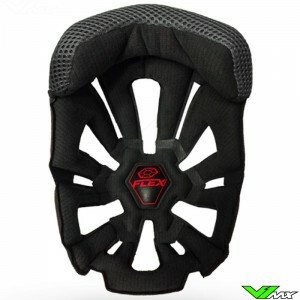 This ensures a significant improvement in safety because the weight of a carbon motocross helmet is much lower. In addition, the carbon shell is very strong and therefore provides a good construction for this innovative motocross helmet. Carbon motocross helmets are made from a expensive material and require advanced production techniques. This also means that carbon helmets are more expensive than glassfiber or thermoplastic helmets. The shell has an aerodynamic design for optimal flow of air and an aggressive styling for that iconic Bell look. To complete this helmet it is equipped with an emergency system for the cheeks. The cheeks can be removed with the “Magnefusion Emergency Removal System” in case of an crash. This helps to minimize the risk of more damage when removing the helmet. The Bell Moto-9 Flex is an revolutionary helmet in terms of safety and fit. The Flex version is the latest version which has many of the design features of the standard Bell Moto-9. This helmet is still available and attractive for riders who have less to spend. There are some differences between them, for example, the moto-9 is not equipped with the segmented liner and has a multi-matrix shell instead of full carbon. Below you will find a size chart. You can easily measure the circumference of your head by using a measuring tape. Wrap it around your head, about 2cm above your eyebrows. Keep the measure taper above your ears and measure the largest size. Is the motocross helmet not to your liking? You can easily return or exchange the order with the included return form. V1mx offers a 30 day period for returns, so you have enough time to decide. Do you have any question about the Moto-9 flex or any other Bell motocross helmet? Send us a message in the chat or contact us. 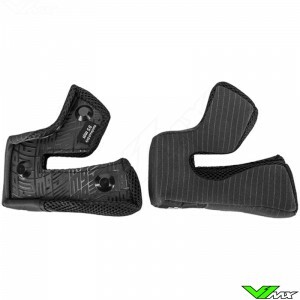 We are happy to help you choose the right motocross gear and protection.